California Maritime Academya comfortable driving distance from AT&T Park, gratuitously noted just never did fit into the regular run of college sailing. That was frustrating, but they’ve found their sweet spot or they wouldn’t be flying into France on Thursday night, to La Rochelle, to prep for Sunday’s opener of the Student Yachting World Cup. The key was a shift in focus. With a student body skewed toward guys, and some big guys at that, this small, specialized school at the mouth of the Sacramento River has a hard time fielding a versatile team for competing in 420 class dinghies—as in, not enough lightweight crew for light-air days. That would have been 2003 and the Shields Trophy in Navy 44s. The result? 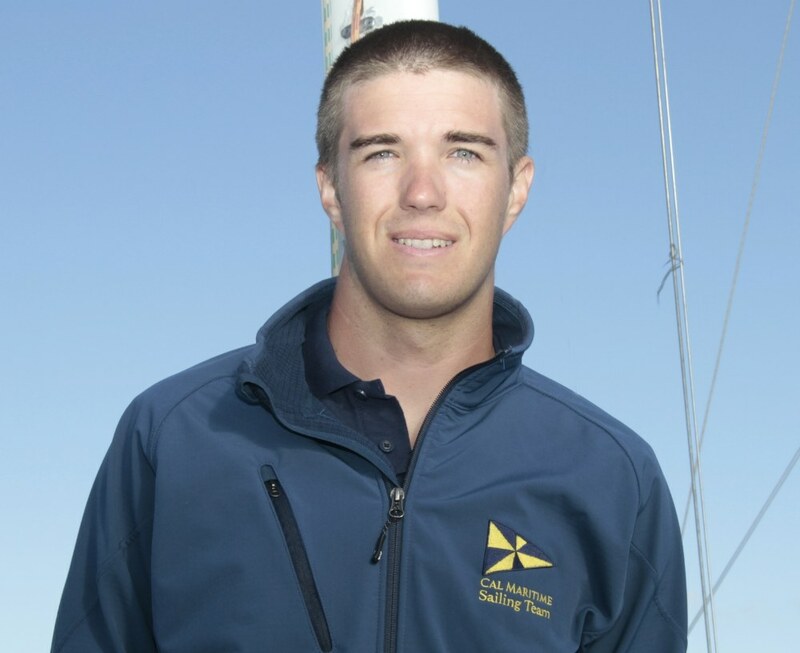 Five wins since, plus a win—after twice losing on tiebreakers—at the 2009 Kennedy Cup Intercollegiate Offshore Series, the qualifier for a slot at La Rochelle, on the notoriously windy Bay of Biscay. Cal Maritime sailors spend a lot of time on San Francisco Bay, downriver from the school’s location at the mouth of Carquinez Strait. SF Bay is known as a windy place, which sets Cal Maritime up nicely for the Bay of Biscay, which odds-on is also a breezy spot. 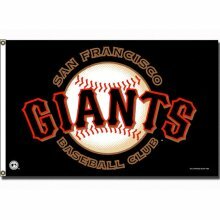 The team should feel right at home. We’ll be expecting whitecaps, not this look from the 2009 races at Marseille . . . 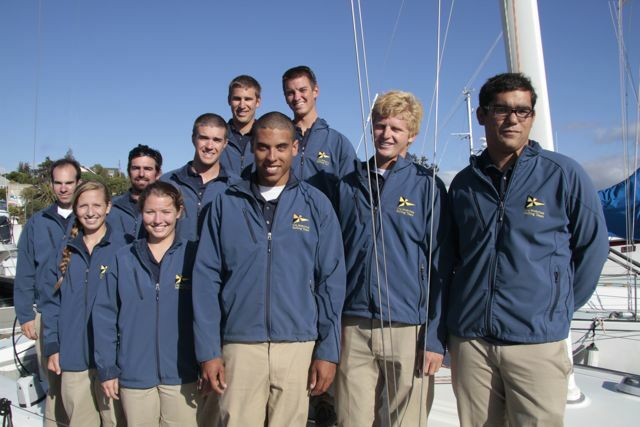 In 30 years, only one US team has ever won the Student Yachting World Cup, and Cal Maritime is the first West Coast school to earn a shot. Its people are billing this as a David and Goliath matchup, considering that CMA has only 850 students, and some of their opponents come from major universities with tens of thousands of students to draw from. On top of that, many members of the ten-person squad are signed into such heavy math-and-science curricula as marine transportation and facilities engineering. The course-load leader is Sara Himes of Placerville, California (class of 2013), who is carrying 28 hours as a dual major in International Business and Global Logistics and Global Studies and Maritime Affairs. And unlike the guys, she is guaranteed to be sailing every day at La Rochelle, along with Jessica Bernhard. Racing is in 30-footers. 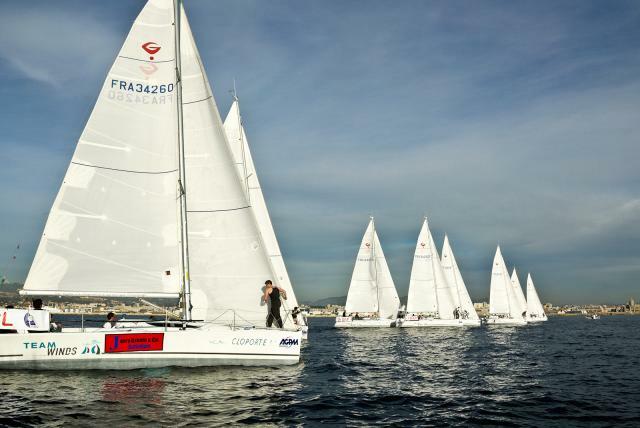 The competition comes from Canada, England, Ireland, France, Switzerland, Germany, Italy (two, with CUS Milano the defending champion), Portugal, and Japan. This btw, is Cal Maritime’s other ride, the training ship Golden Bear . . .